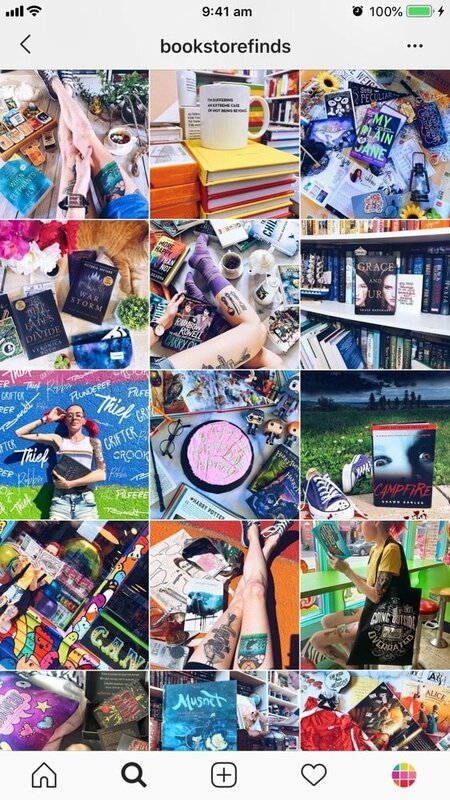 Yes, I’m going to feature a LOT of bookstagrammers in this blog post. Too much some of you might say. I hope you don’t mind. 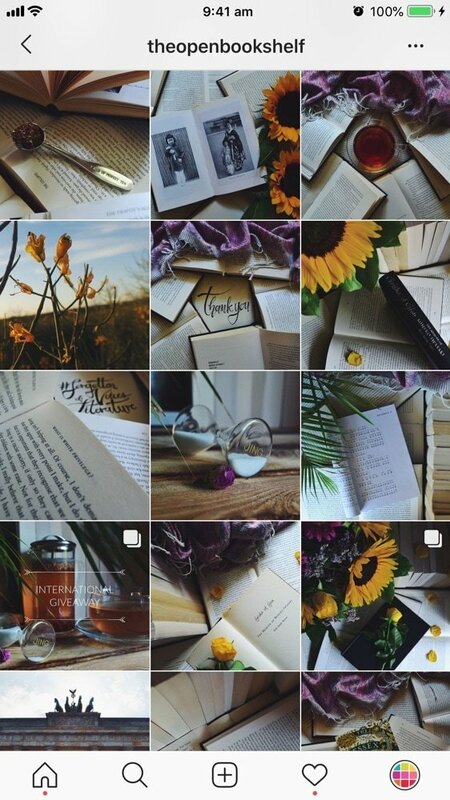 There are so many beautiful accounts out there. I have to spread the love! Thank you everyone who recommended these accounts. 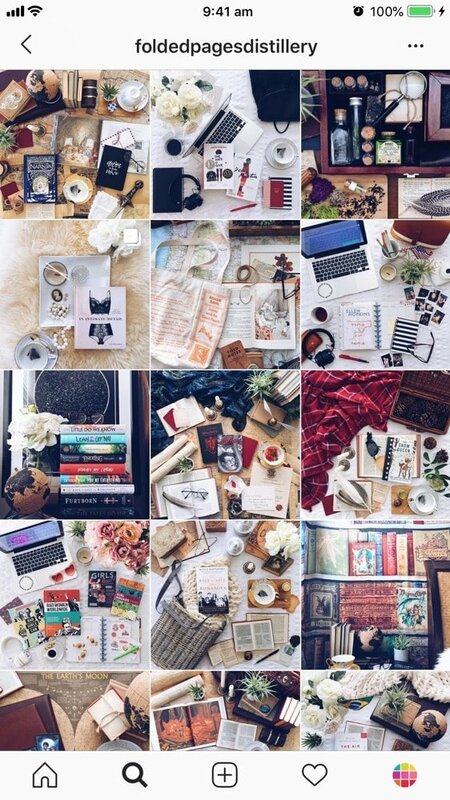 If you are a bookstagrammer yourself, feel free to share your Instagram username in the comments below so we can see your Instagram page. 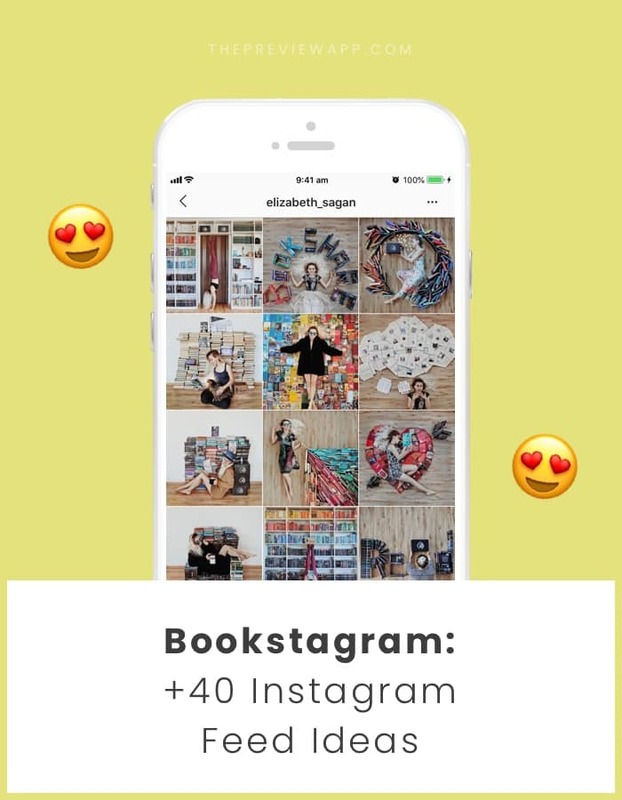 Let’s talk about Instagram feed ideas for your books. 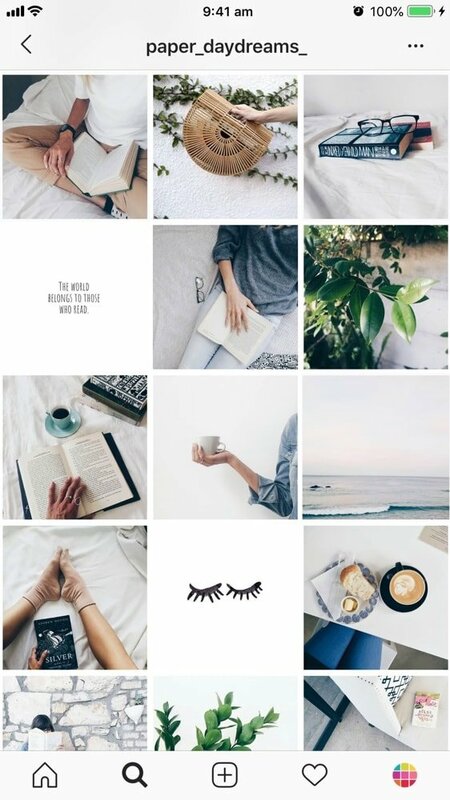 I hope the accounts will inspire you to create your own Instagram feed. 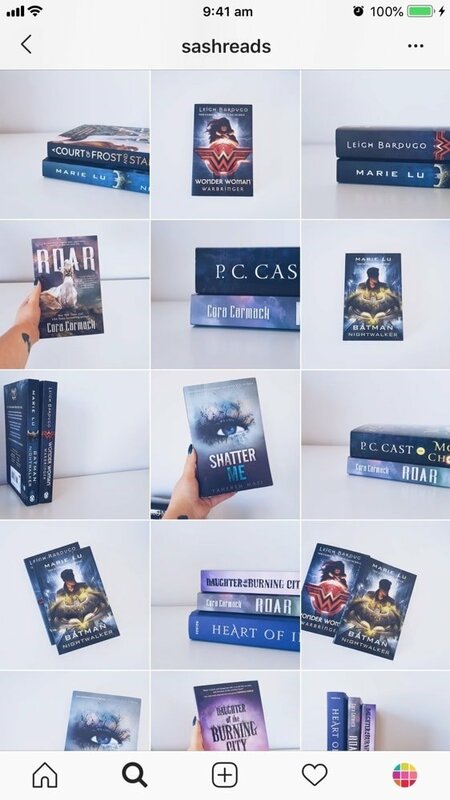 And I also hope you will connect with new bookstagrammers. 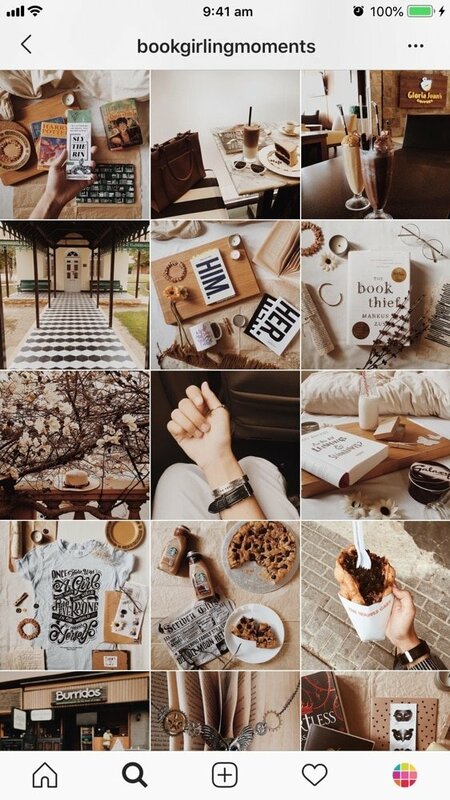 Quick note: We’re so happy that some of these accounts are from people who use Preview app to design their feed! Big shoutout to you guys. 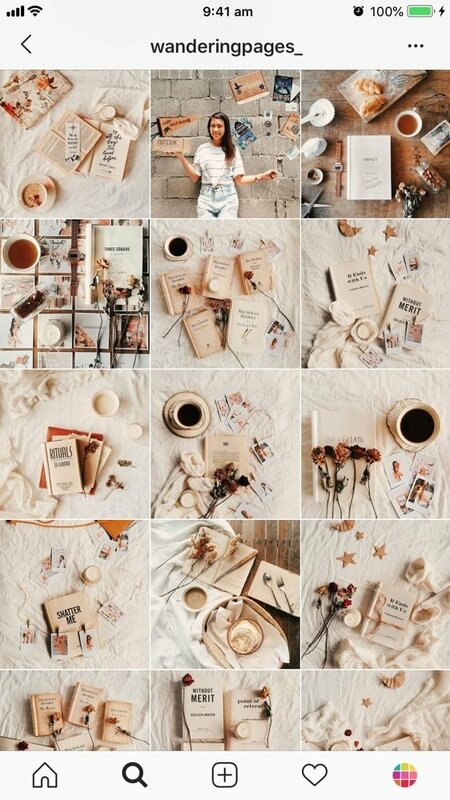 Ok, let’s start. 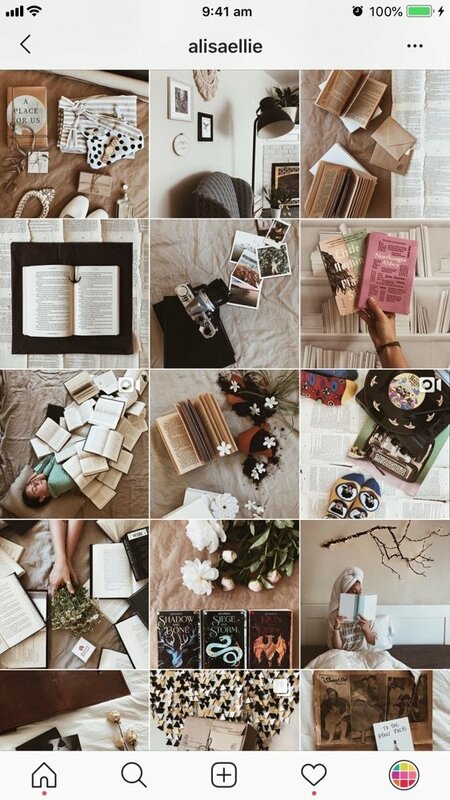 Here are some Instagram feed ideas for your book account. 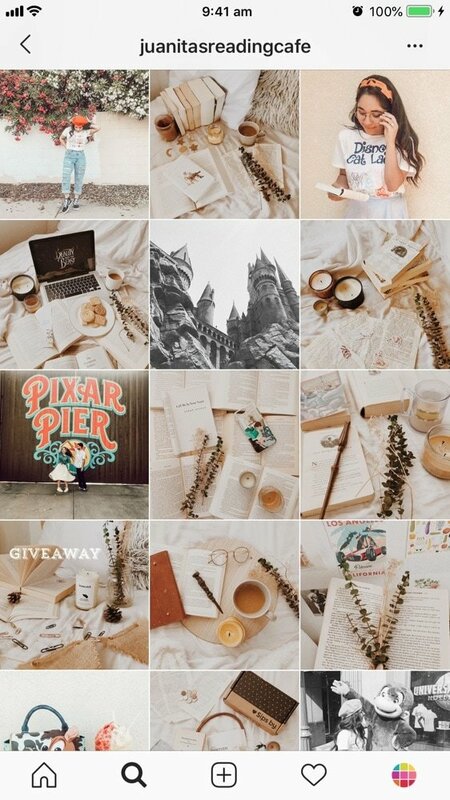 Let’s start with a very fun Instagram feed idea: using the same background for all your photos. 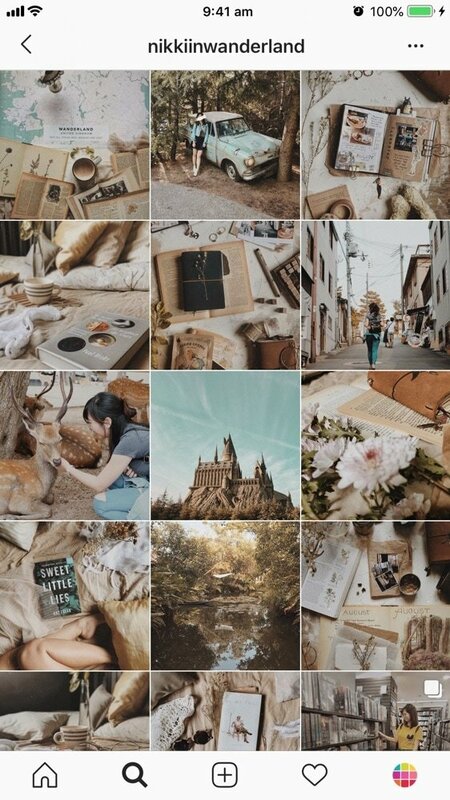 As you can see, some people create beautiful backdrops that are unique to their account. 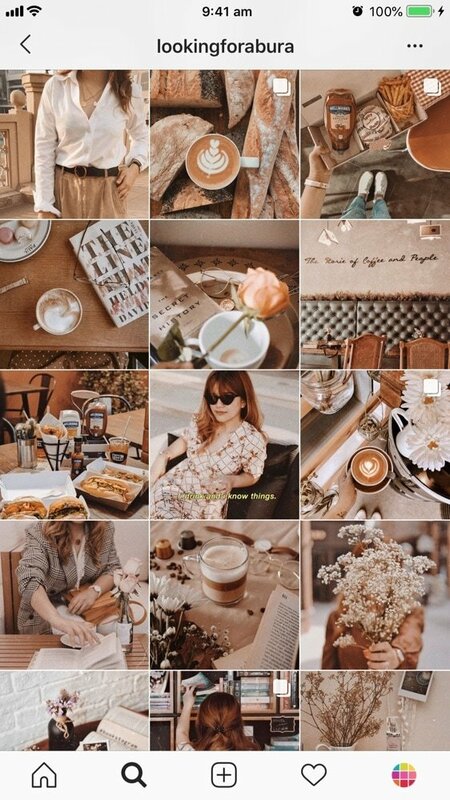 Talking about backgrounds, the background of your photos play a very important role in the overall style of your Instagram feed. 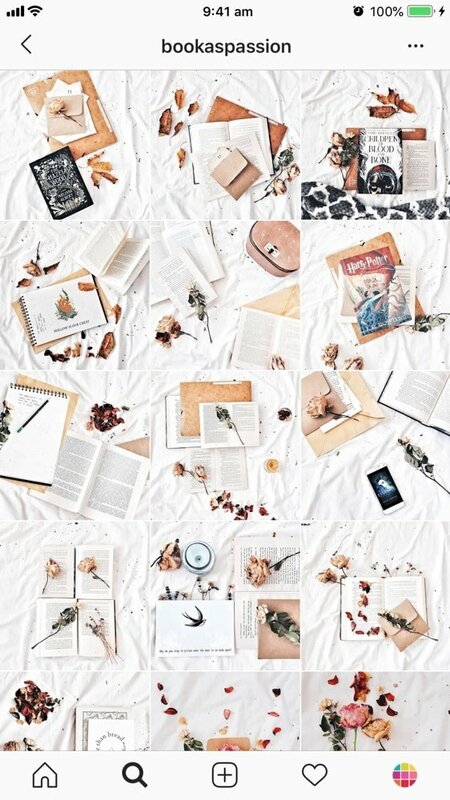 Some people love to keep their background white. 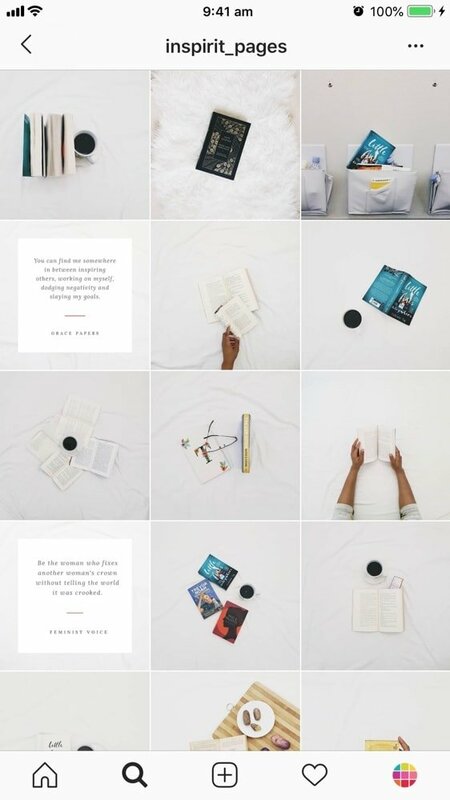 Look how beautiful, clean, simple and minimalist their feeds look. Now let’s go to the darker side. 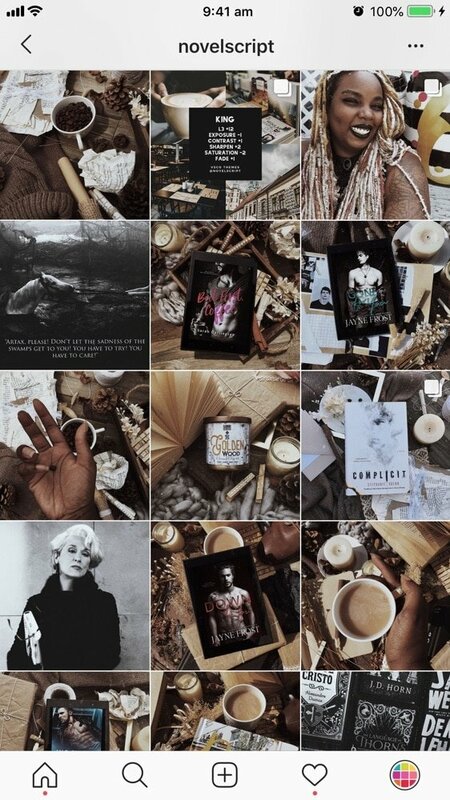 Here are some beautiful Instagram feed ideas if you want a moody Instagram feed. 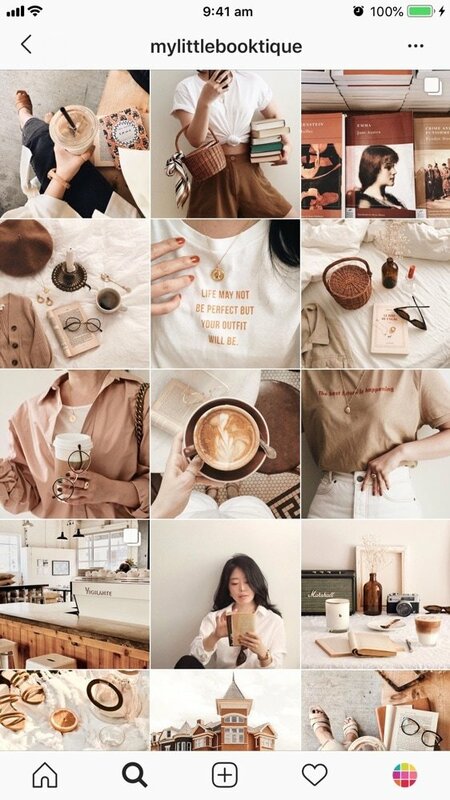 Want your Instagram feed to feel warm and cozy? 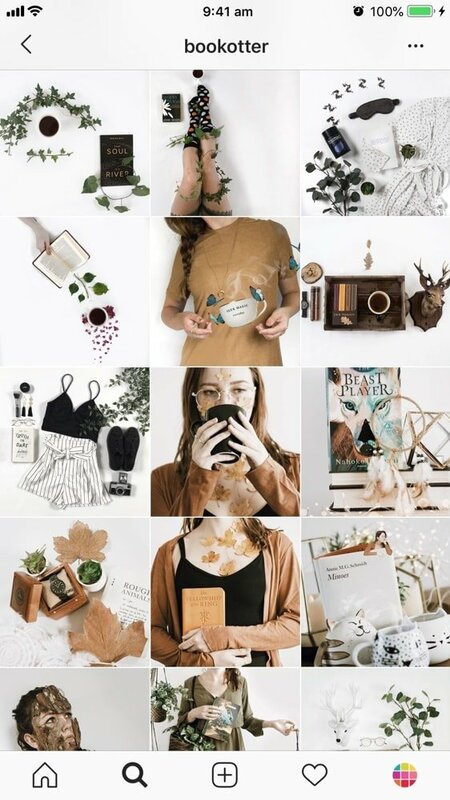 Try a brown theme. 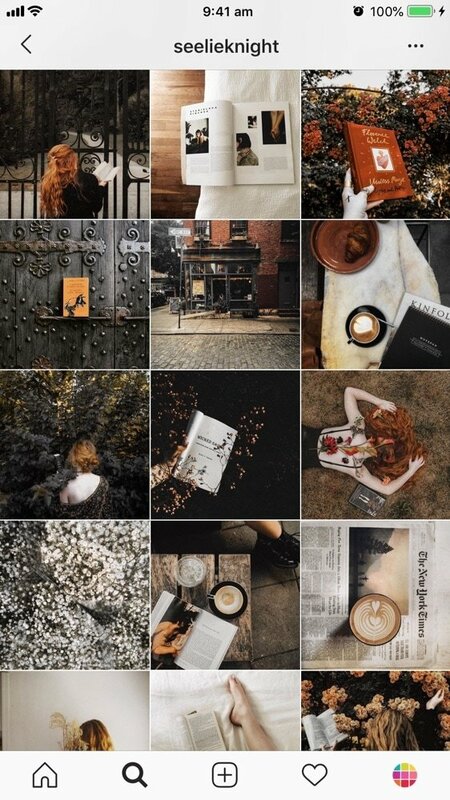 And for calmer and brighter brown vibes, try filter F1 and F2 in the Brown Filter Pack. 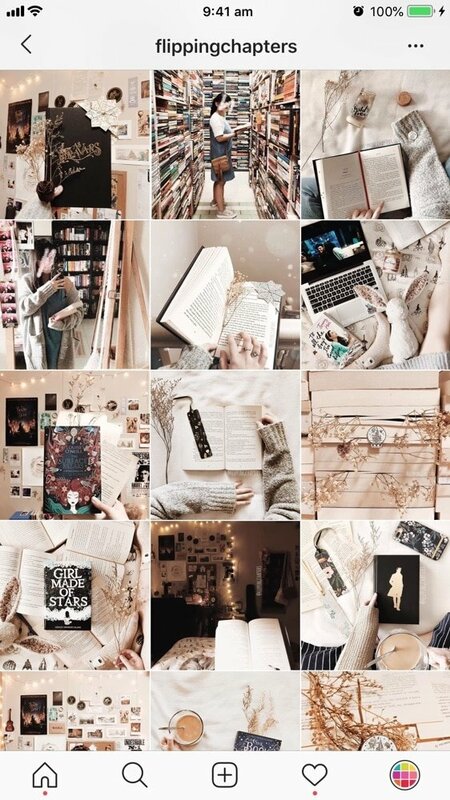 Now let’s look at colorful feeds. 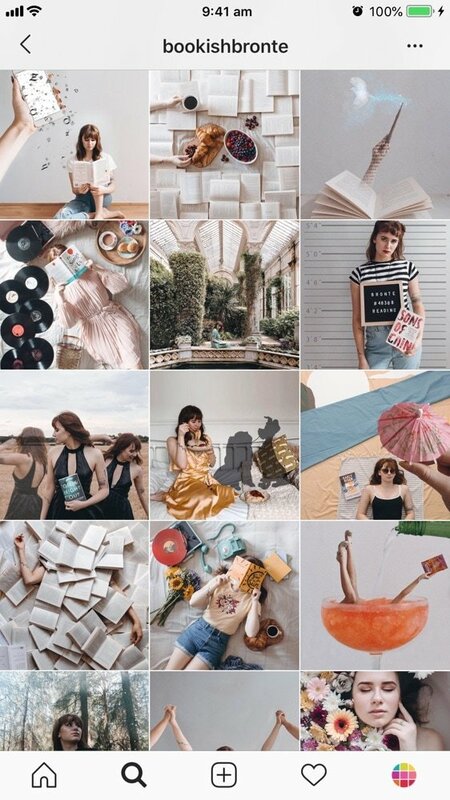 Introduce pops of colors in your photos to make your feed look bright and colorful. 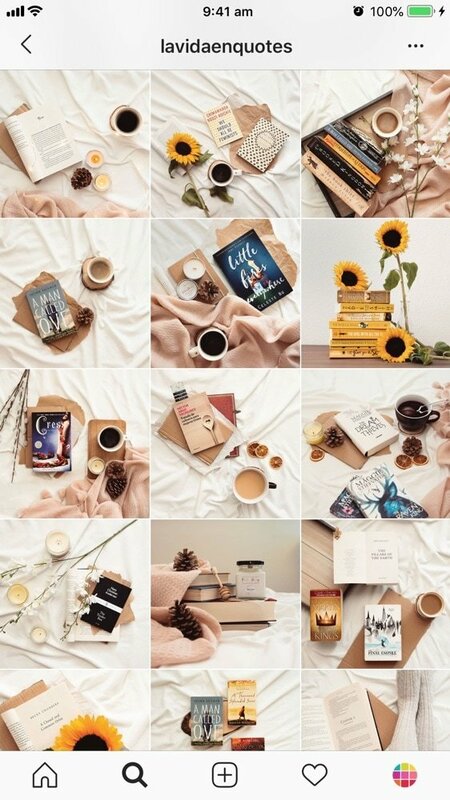 Most bookstagram account post flatlays. 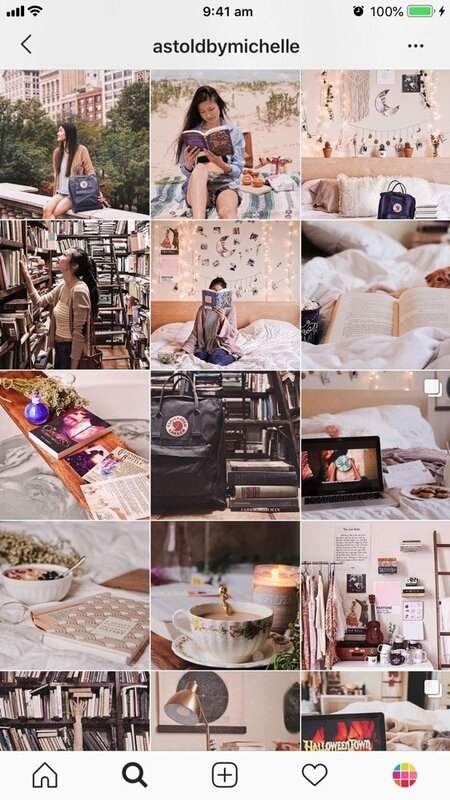 But some people are renowned for only taking flatlays using specific props. 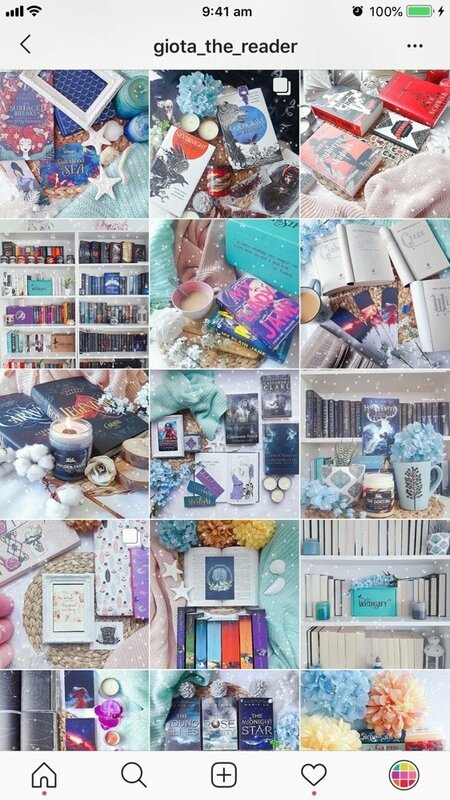 Have a look at @bookbento who select the props based on the topic of the book. 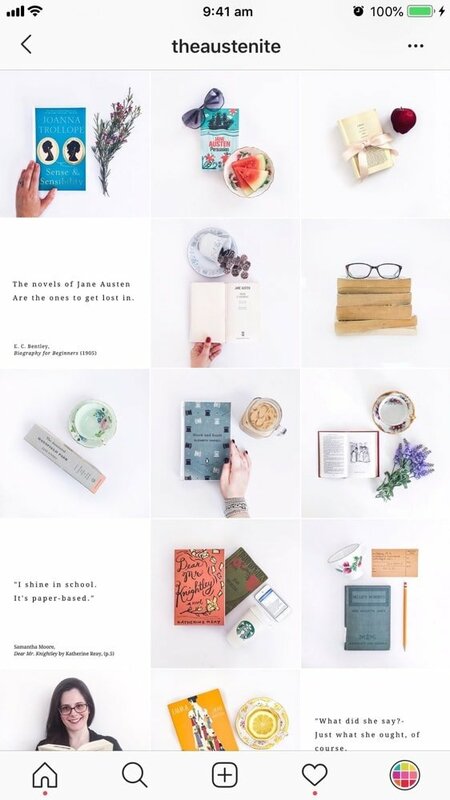 Or @foldedpagesdistillery who styles thoughtful flatlays for each of her posts. 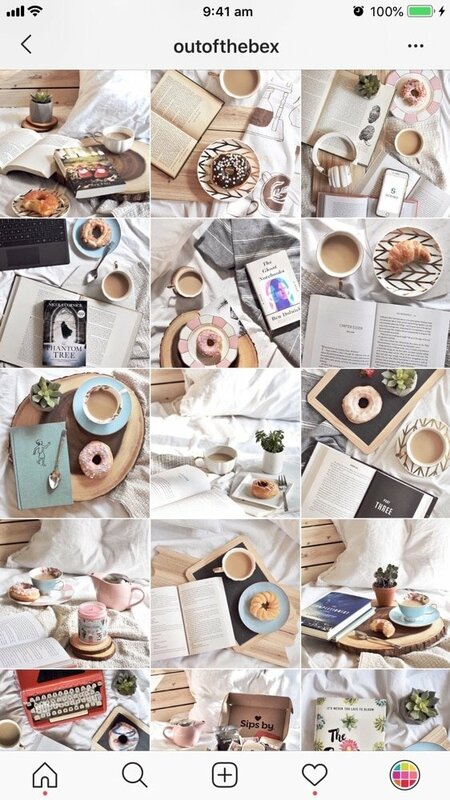 Or even @outofthebex who is renowned for her flatlays on her bed and the eye-catching donut in each photo (are you getting hungry yet?). 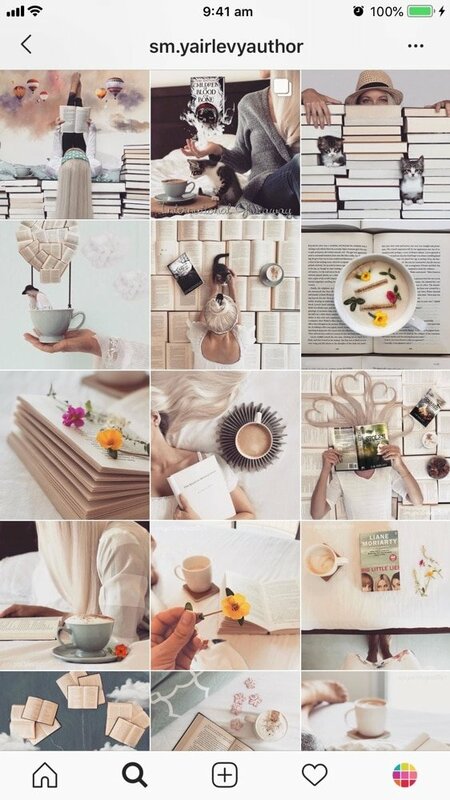 And don’t forget to look at @lavidaenquotes with her sunflowers, wooden props and coffee. 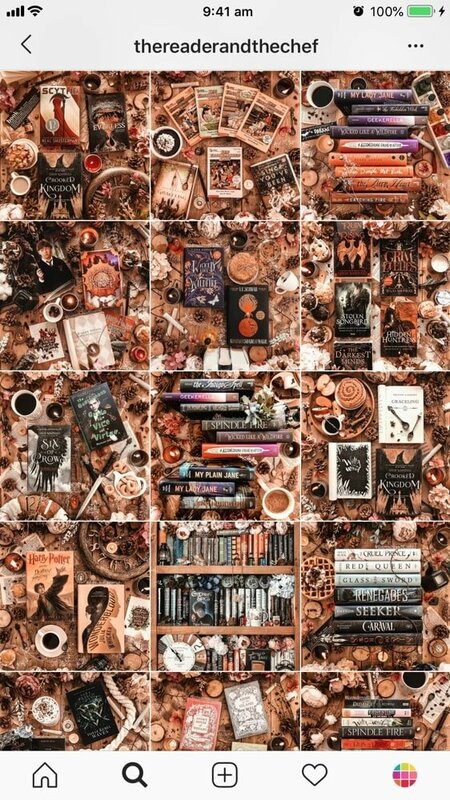 Each one of them create a flatlay universe for their books. 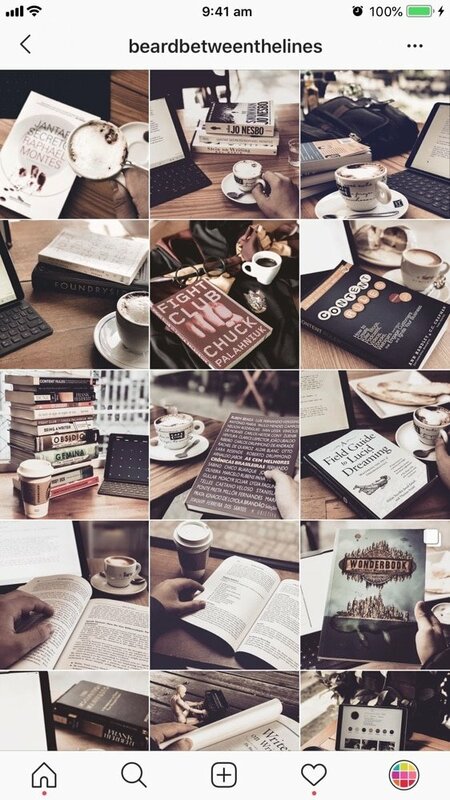 Not all of our posts have to be about books. 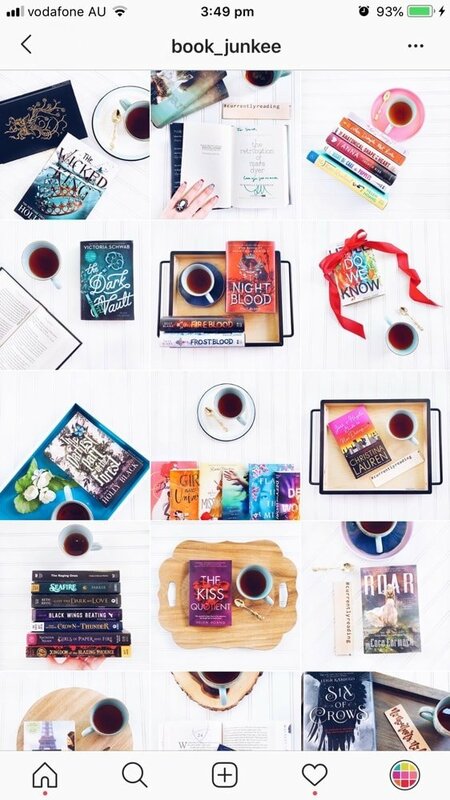 You can mix posts about your your passion for books and your daily life. 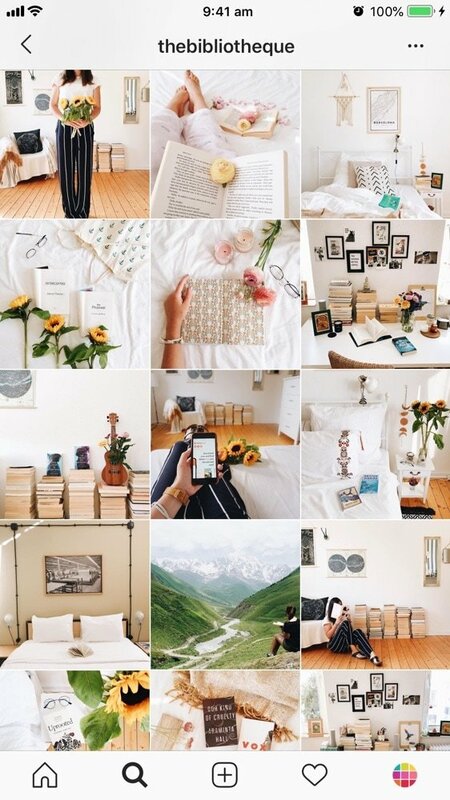 For example, you can posts photos of your outfits, food, holidays, landscape, home interior, etc… Here is some inspiration. 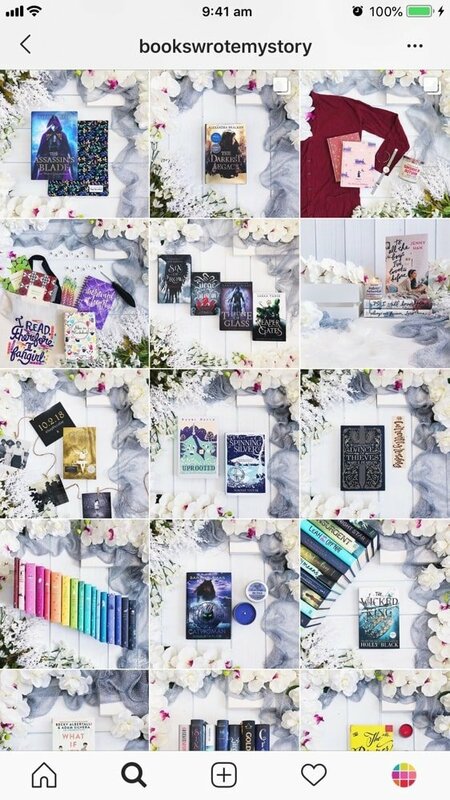 Do you want to be super creative with your bookstagram? 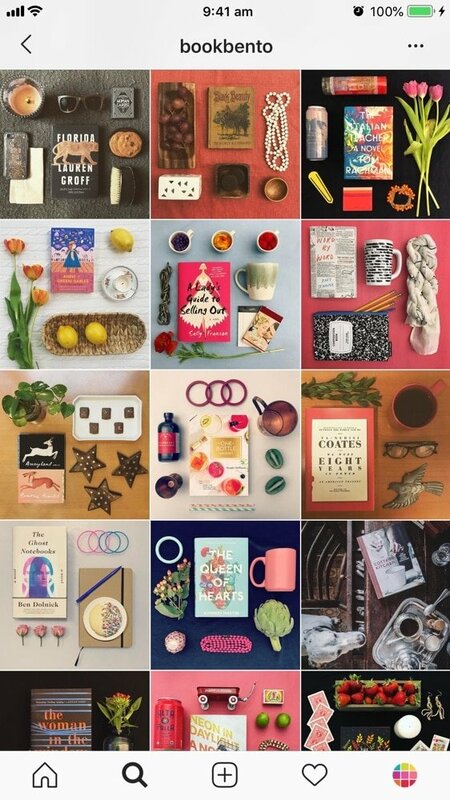 Why not add a touch of magic in your photos? 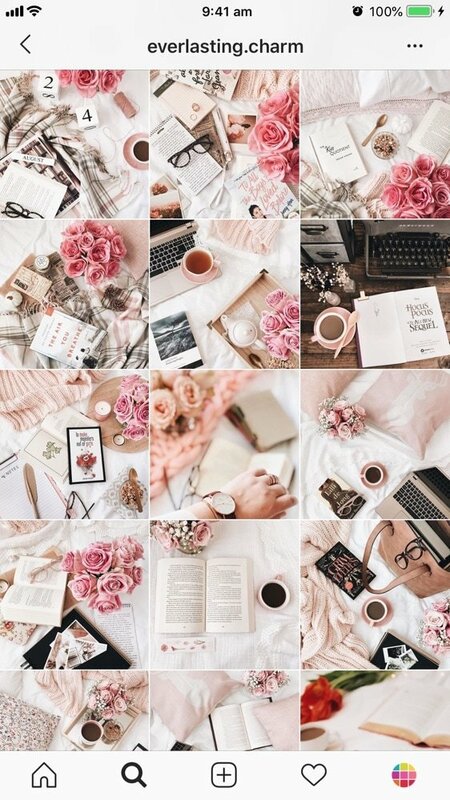 Why not take photos that are completely out of the ordinary? 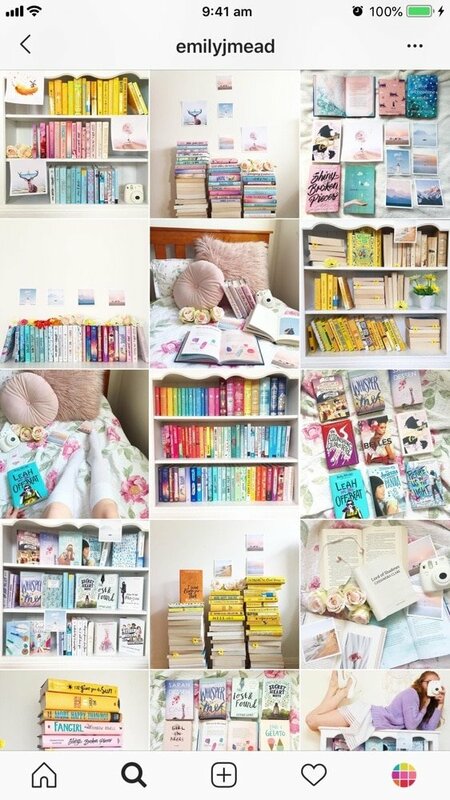 Like making yourself look small on top of a pile of books? 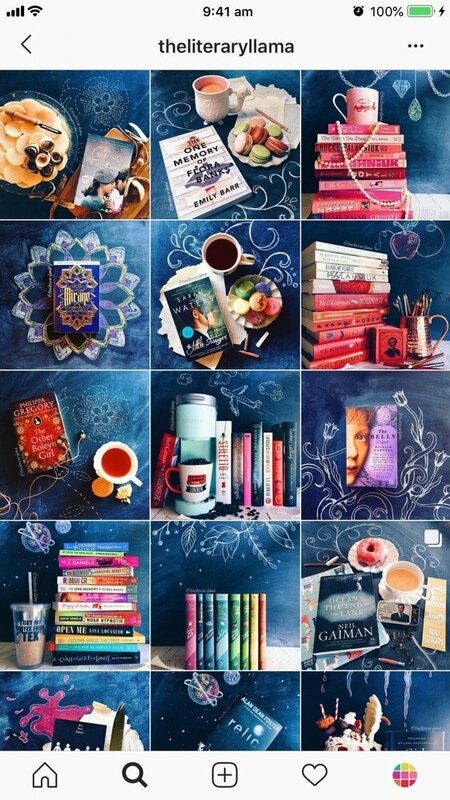 Or using your books to create patterns, fun backgrounds, and even drawings? 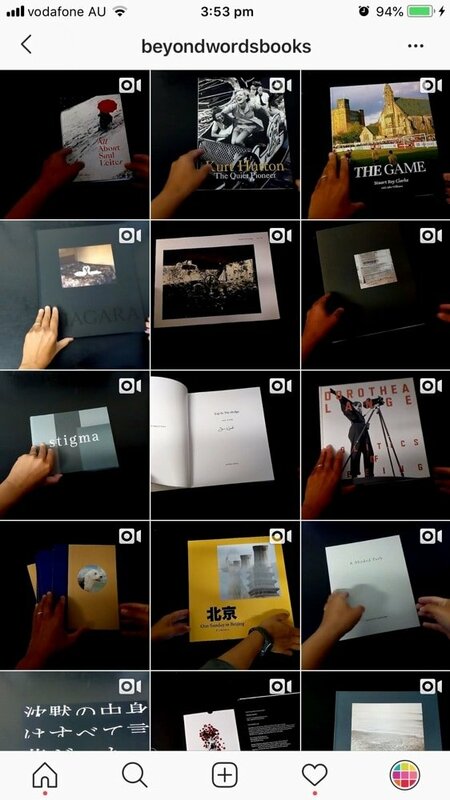 You don’t have to make each and every one of your posts a piece of art. But you can create a fun / weird / magical photo from time to time. 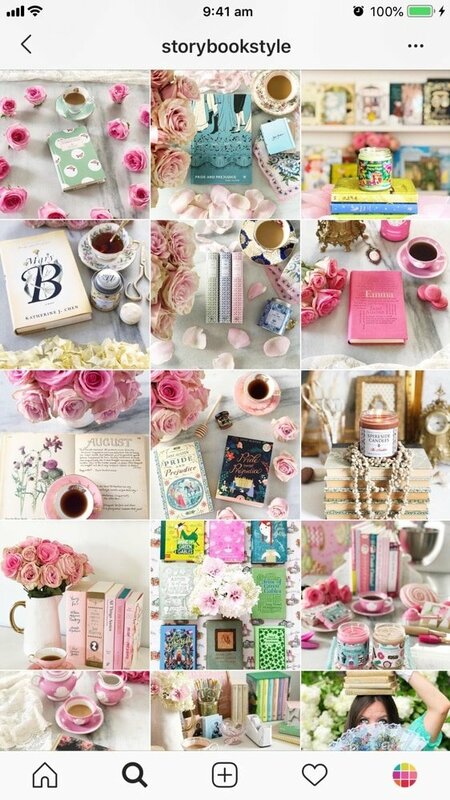 Here is some inspiration. 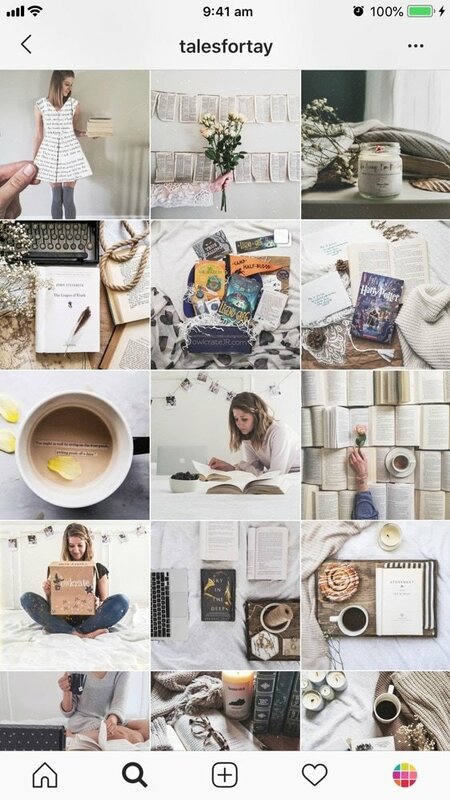 Another idea is to use white borders on your photos. 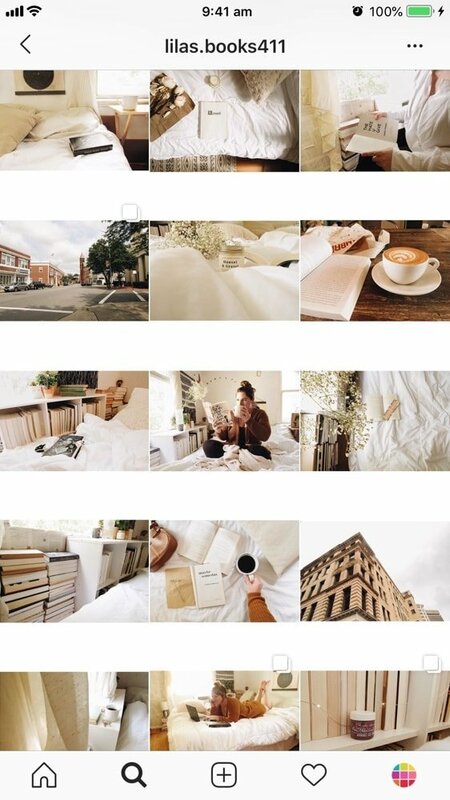 White borders are one of my favorite Instagram feed layout ideas! 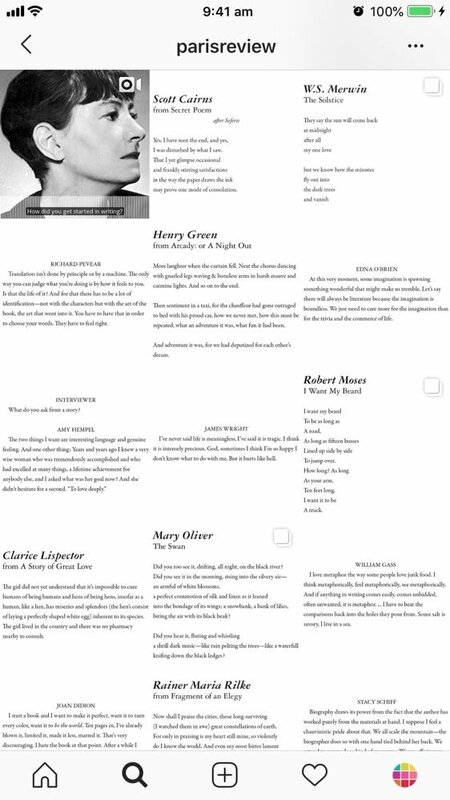 Some people also like to quote their favorite authors. 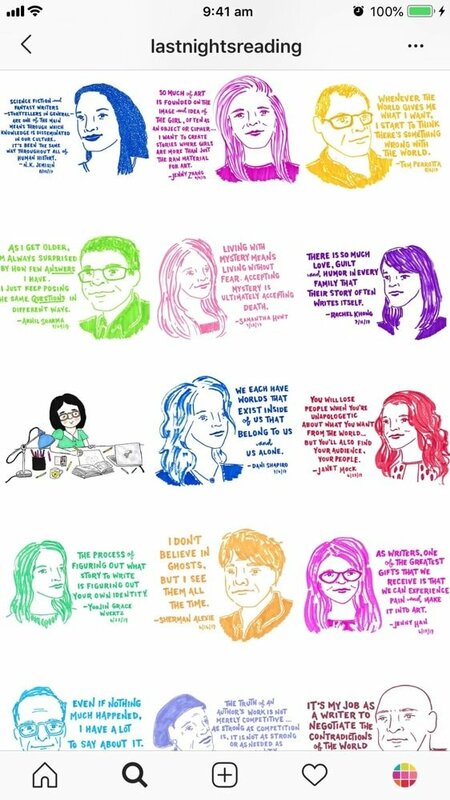 @lastnightsreading even goes as far as drawing the authors and capturing their favorite quotes. 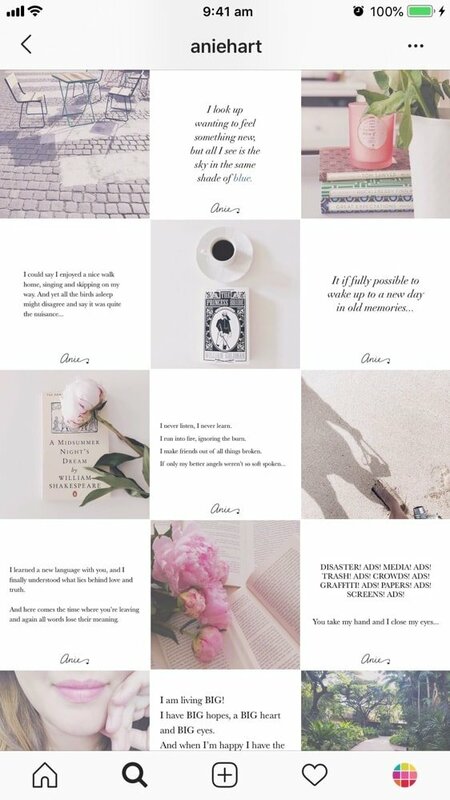 You can also do what I call a “Tiles Instagram Grid” (alternate between a photo and a quote). 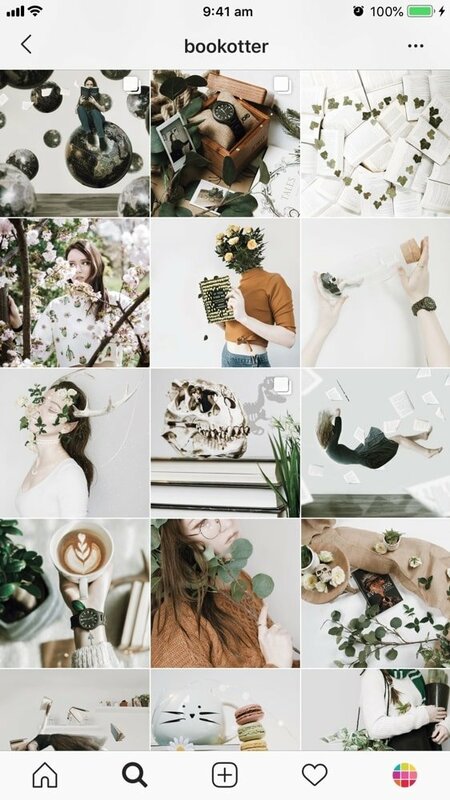 These two girls use Preview to plan their tiles feed. 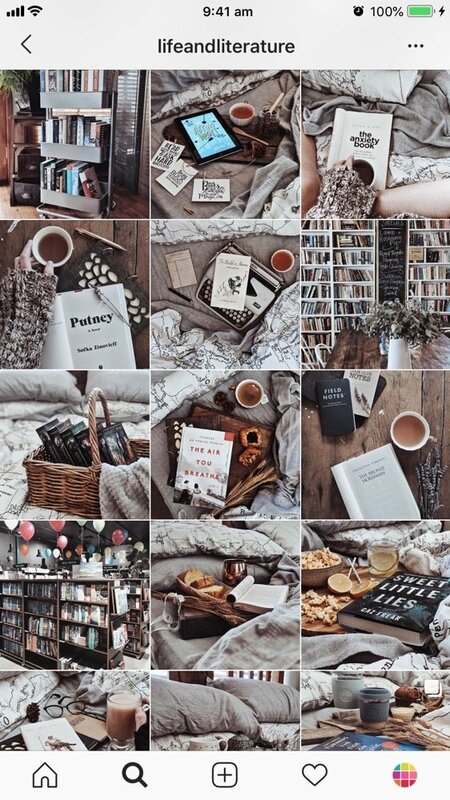 Which one is your favorite Instagram feed ideas for a book account? 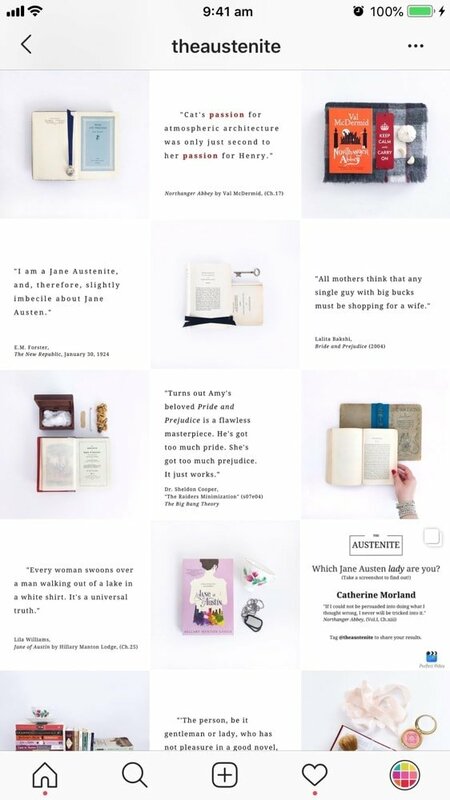 Until next time, see you on Instagram – or somewhere else on our Instagram blog.